The Haymarket Dining Table is hand crafted using reclaimed pine with a traditional post and lintel design and mor tise and tenon joinery. 3” x 3” posts intersect a 3” top to compose a robust piece of furniture that’s built to last. The natural satin finish showcases the figuring and grain of the wood in all it’s splendor. 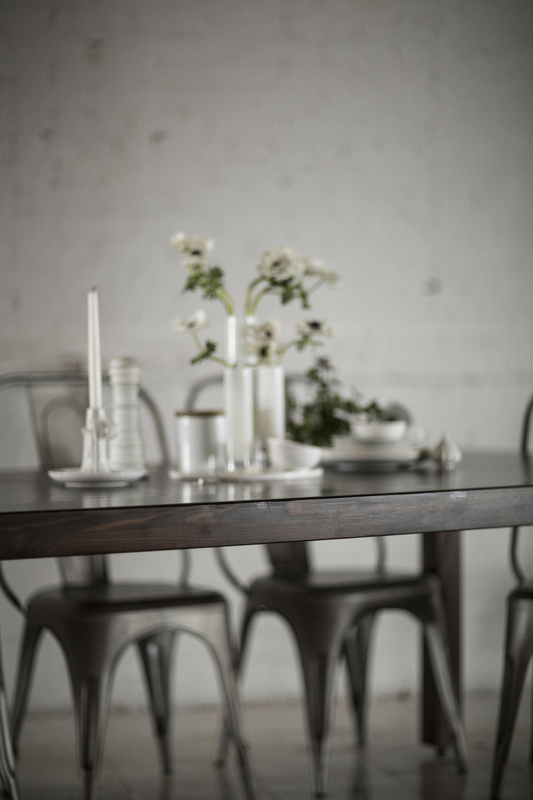 Comfortably seating 10 people, the Haymarket Dining table is that big dining room table you’ve always dreamed of. 96" x 48" x 29.5"